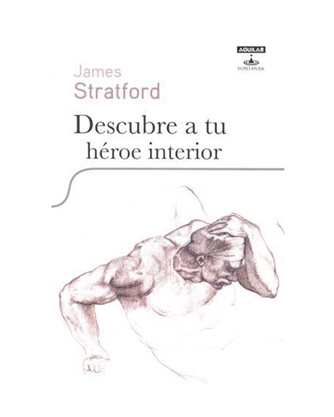 In 2009 my first book, Discover the Hero Within, was translated and published in Spanish by the major publishing house Santillana, under their esoteric and personal development imprint, Aguilar Fontanar. This is the same imprint that publishes the work of the renowned teacher and author, Deepak Chopra. The Spanish edition is currently available in several countries throughout Central and South America, including Mexico. It will be released in Spain in 2011. You can purchase this edition by visiting one of the several online bookstores. Here I have made available an excerpt from the beginning of the English edition of the book. The complete manuscript will be available soon. Click on the link below to access the pdf. You may need Adobe Reader to view this. This is a free program which you can download in a couple of minutes. Thank you for sharing a sample of your book. I read the excerpt and thoroughly enjoyed it. I too have begun my journey to self discovery. I have always been the type of person to “reflect” on my experiences and to learn from them. The past 20 years have been spent raising a family, working, and being so BUSY that the time seems to have passed in a flash. I have finally slowed down and come to the realization that quality of life is so much more important. I am now embarking on a new journey to discover more about myself and to become my BEST self. It is empowering to realize my mental stamina. Others have seen it in me for years but I am just now truly recognizing it for myself. The mind is a powerful thing. Learning to change our way of thinking can be difficult at times but worth it in the end. Learning to lead a life based on faith rather than fear is essential. I have always been a positive individual but have been a “people pleaser” for much of my life. I am now reaching deep within myself to discover what it is I want to accomplish with my life. It is both enlightening and scary at the same time. I have appreciated reading some of your posts and will check back often. Thanks for sharing! I don’t know if you remember me, but my wife Bianca and I lived with your uncle Clive for a few months back in early 2006. I’ve been reading some of your articles and they have a great deal of appeal to me. The journey of the hero is something always called my attention for my own personal development. I completely agree when you say people sometimes get adrift in their lives without noticing the meaning of their actions and small miracles that happen when they least expect. I believe it could also be that there’s so much going on out there in terms of information, and technological advances that we don’t seem to get a free “me time”. We don’t know who we are anymore, we live by what the media and our little group of friends tells us to do. Which implicates in something much worst: lack of dreams. If we don’t have dreams or big ideas – as the heroes used as a driving force – we can’t attach ourselves to life, in the true sense of the word: the morals are completely twisted, the values and true character become things we only see in old film and books, not in the streets. Anyway, just wanted to congratulate you with the newborn and your hardworked PhD. It is now 5:30 A.M in Santo Domingo, Dominican Republic. I just finished your book. There are no words in my dictionary to express my deepest gratitude. Now i remember what was i wanted to be, and how i wanted to feel. Katabasis has become my motto, for my perpetual state of journey. I am deeply grateful for your message. It means a great deal to me. What you are remembering, what you are feeling, hold this in your heart. Walk the road ahead with my very best wishes. You are the hero!